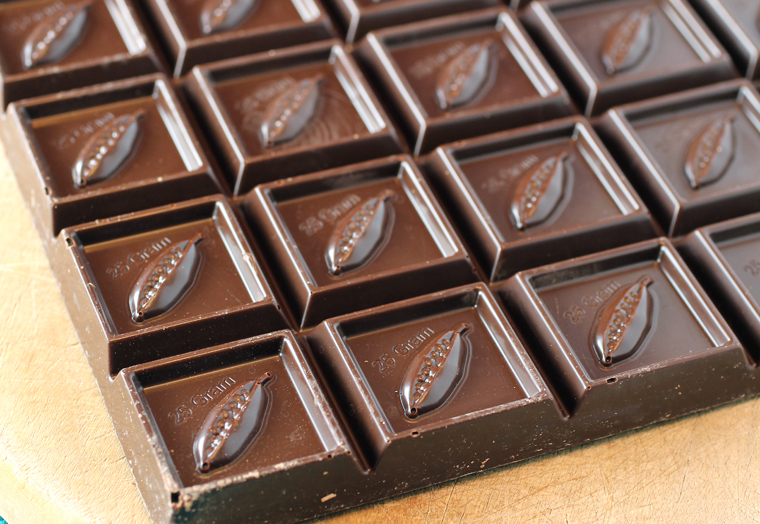 It’s a chocolate you could enjoy easily by just letting a small square melt in your mouth blissfully. 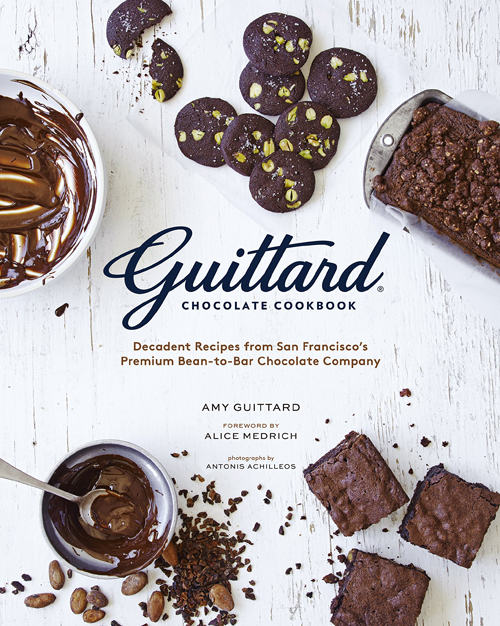 Or you could bake with it, which is what I did — with a recipe from the “Guittard Chocolate Cookbook: Decadent Recipes from San Francisco’s Premium Bean-to-Bar Chocolate Company” (Chronicle Books, 2015), but of course. 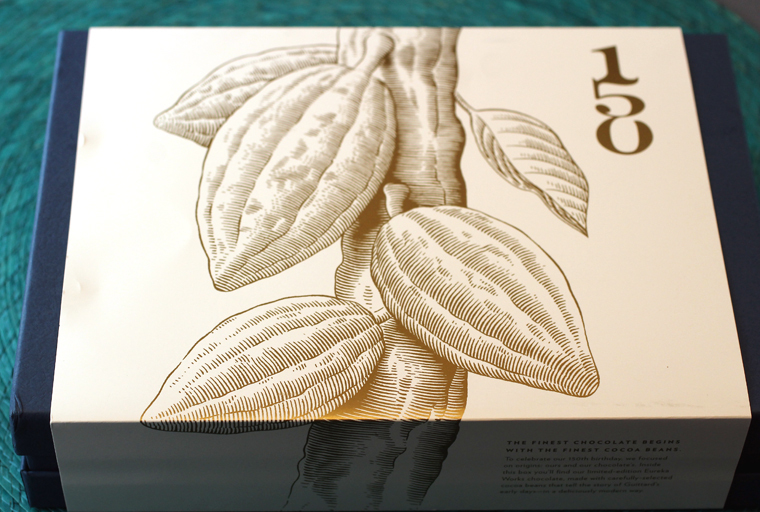 The book is by Amy Guittard, who oversees marketing for the chocolate company her great-great-grandfather established. Now, normally, I wouldn’t dream of eating a chocolate muffin for breakfast except on a lazy Sunday morning. But “Morning Muffins” is perfect for a holiday when you want to show someone you love them. 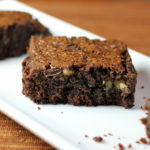 It’s got chocolate, of course, but also rolled oats, light rye flour, unsweetened applesauce, and honey, which makes the guilt you might have about indulging in these a little easier to swallow. I actually used dark rye flour, because that’s what I had at home already. Dark rye flour tends to be a slightly coarser grind than light rye flour. In a muffin recipe that only calls for 1/4 cup of it, I think you can easily use one or the other. The original recipe also calls for Guittard semisweet chocolate baking chips. What I did instead was just chop up enough of the Eureka Bar to make 1 cup (170 grams). Chocolate chips are designed to hold their shape even after baking. 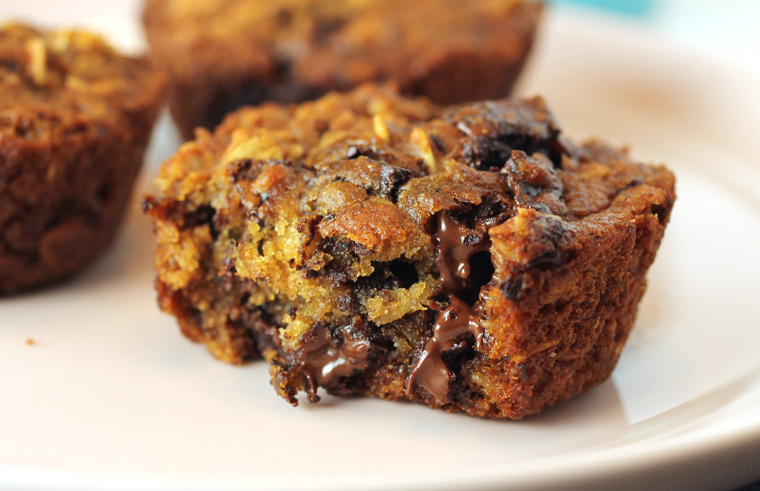 By using a cut up bar instead, the chocolate melts more and spreads throughout the muffin more completely for added ooey-gooey-ness. This recipe is easy enough to make on a weekday morning or evening, especially because the muffins take only 15 minutes to bake. 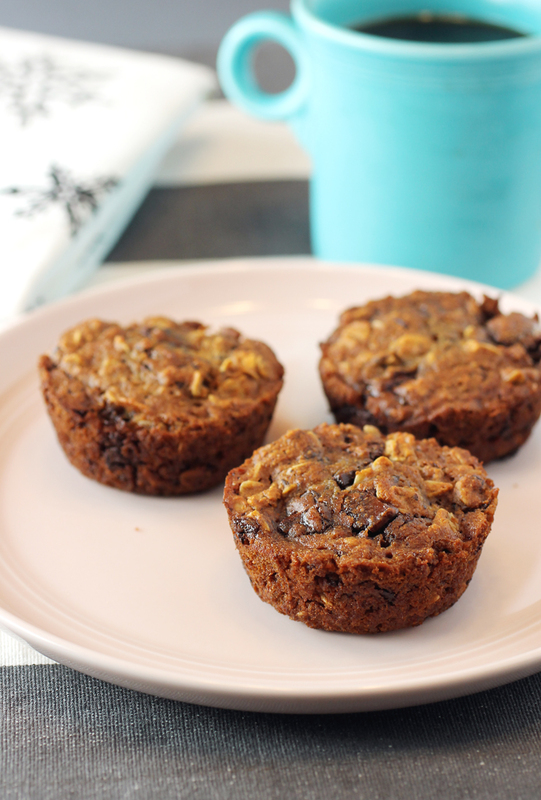 I find that with the hearty oats, one muffin is fairly filling with a banana or apple chaser. It is an ideal companion to a cup of coffee, too. The oats make you feel as if you’re doing something good for your body. The chocolate? Well, it just makes any day a whole lot better, doesn’t it? In a small bowl, combine the all-purpose flour, rye flour, baking soda, cinnamon, and salt. Set aside. In a large bowl, with a hand mixer, beat together applesauce, milk, vegetable oil, honey, and orange zest until smooth, about 2 minutes. Stir in the flour mixture until just combined. Fold in the oats and chocolate chips. Spoon the batter into the prepared muffin cups, filling them three-quarters full. Bake for 13 to 15 minutes, until a toothpick inserted into the center of a muffin comes out clean. Let the muffins cool in the pan for 5 minutes, then remove to a wire rack to cool completely. Store, wrapped tightly in a plastic wrap in the freezer, for up to 1 month. To defrost, microwave for 1 minute on the defrost setting, then lightly toast in a toaster oven before serving. A perfect Valentine treat for anyone! That is no small feat to make a chocolate breakfast that actually appears quite healthy! 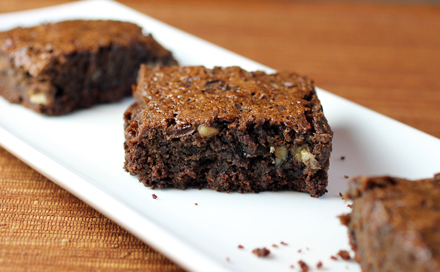 Plus, anything with chocolate and rye is A-OK in my book. Can’t wait to try these!